Landscaping borders edging 2 will hopefully give you some more practical and affordable lawn edging ideas. These garden edging ideas are a simple way to define your yard. If you are new to our site don't forget to check out what else we have to offer. Articles, how-to's and some flagstone tricks of the trade. The best way to find out what we have is by visiting our site map. 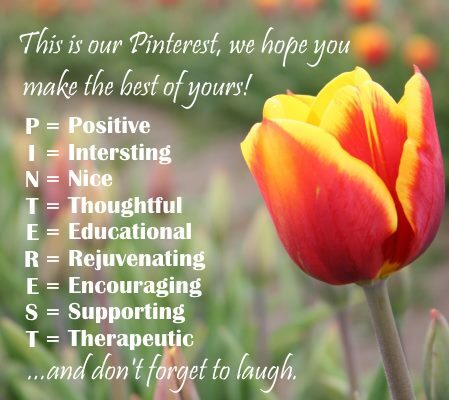 You can also check us out on Pinterest by using the follow us link in the sidebar. You'll be joining nearly 200,000 other followers that find inspiration for their dream yard from over 80 different categories and over 17,000 pictures including lots of garden border pictures. 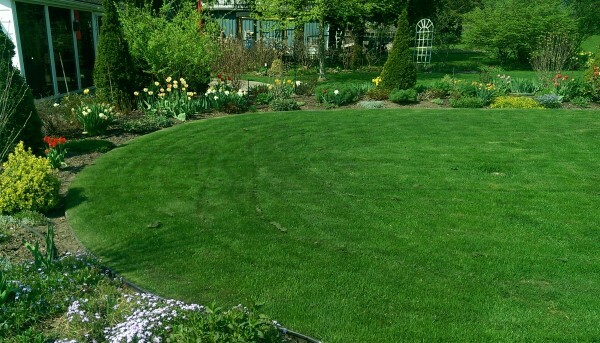 A Nice flowing curve on the garden defines an outdoor room to play or sit on the grass while enjoying the variety of plants. 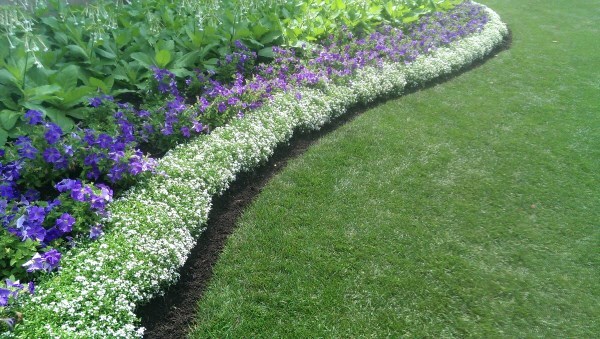 Limited Colours simplify and repetition makes for a smooth flowing garden border that doesn't confuse the eye. Don't be afraid to add a small boulder or tree every so often for interest. 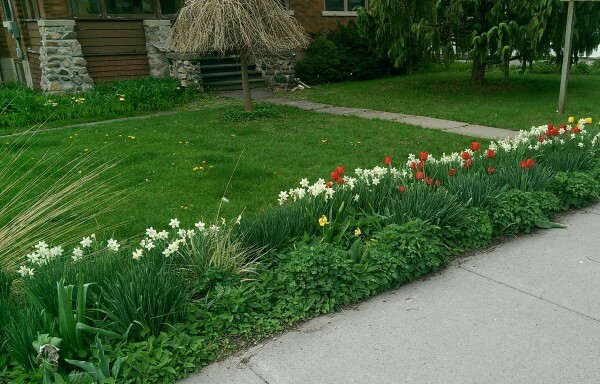 A sidewalk border creates a barrier and dresses up this front lawn with some colour. 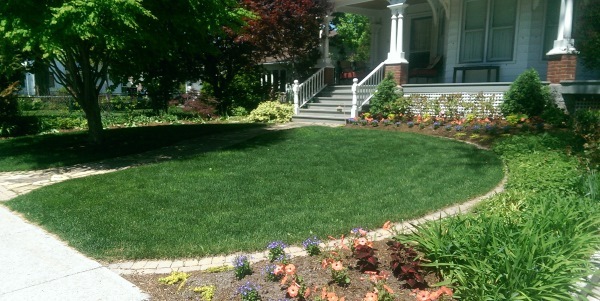 Brick edging was used as a way to provide easy mowing and a clean defined border for this front yard.